By the passing of our brother, Edward Davies, our church at Black Park, Rhosymedre Circuit, has lost a faithful member and a devoted worker. He was born at Black Park in November, 1844, and spent his whole life in the district. In November, 1879, he was “born again” during a Mission held in our church and continued in its membership for forty-five years. His zeal for the things of the Spirit was great. His daily toil made heavy demands; he was a fireman at Black Park Colliery for about forty years, and each morning had to be on duty at 4 o’clock, yet he was rarely absent from the 9 o’clock class meeting on Sunday mornings. In class and prayer meetings he was a great force: such meetings could not very well be dull if Edward Davies was there. At one time he was induced to take up the work of a local preacher, but soon found that this was not his vocation, and wisely retired from it to find other work in the church to which he was more suited. He was a great lover of his garden, and was always happy when working among the flowers. He loved his church, the way in which he would speak of “The Park” as our chapel is called, was suggestive of his great affection for our cause. No one could doubt the genuineness of his religious life, when on his rounds in the pit he had his “place” where he regularly halted for prayer. This was quite characteristic. He lived for the spiritual, his great achievement was growth of soul. His body was laid to rest on November 4th, 1924 (the eightieth anniversary of the day of his birth) in Cherk Churchyard, the ceremony being preceded by a service in our church at Cherk, at which the Revs. W. J. Hemp and E. Rowlands took part. His soul is at home with God. Edward was born in 1844 at Black Park, nr Chirk, Denbighshire. His mother, Jane, was widowed by the time of the 1851 census. Edward married Mary Ann Jones (b abt 1852-1923) in early 1871 at Chirk, Denbighshire. Census returns identify eleven of fifteen children. 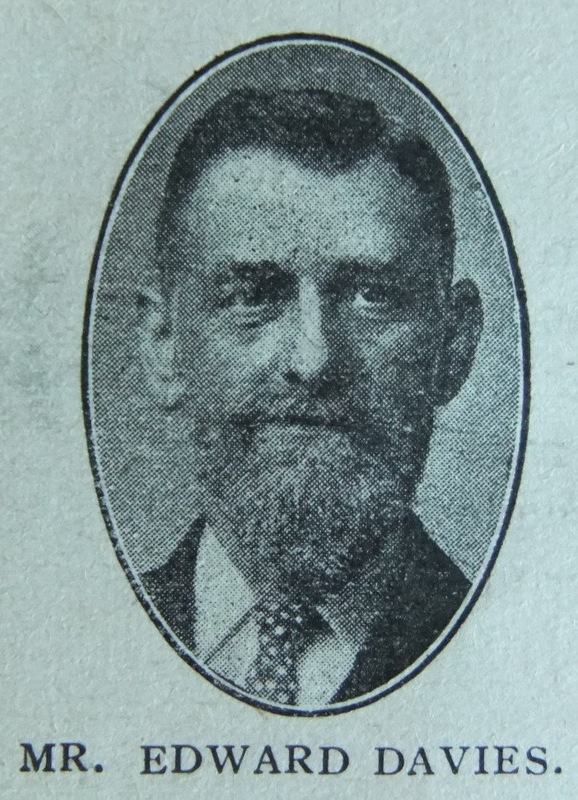 Edward died in November 1924 at Chirk, Denbighshire.